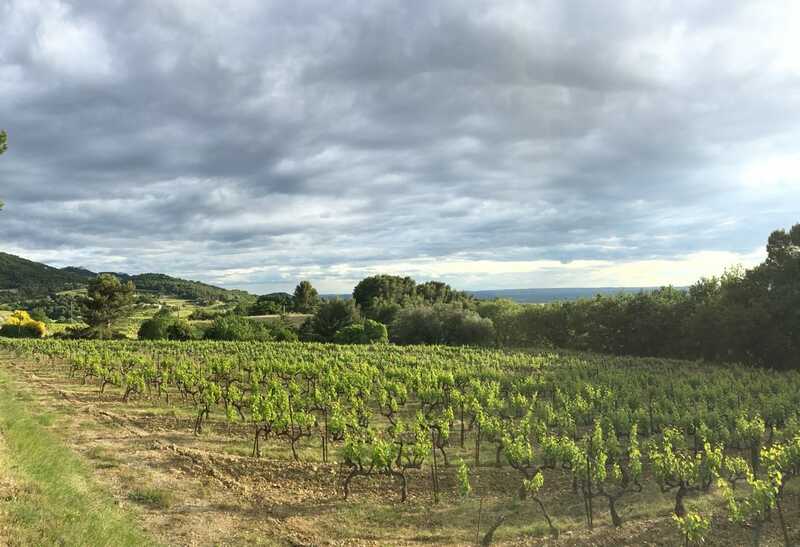 Domaine de Piaugier is situated in and around the village of Sablet, which stands proudly at the feet of the jagged Dentelles de Montmirail in the Vaucluse department of the Southern Rhône. The Sablet vineyards were first developed under the protection of the Counts of Toulouse to whom the property once belonged. In the 14th Century, this winemaking activity was confirmed by the Avignon Popes under whose control the region had by then passed. Sablet was given the classification Côtes du Rhône Villages Sablet in 1974. Sablet rests between the villages of Séguret and Gigondas​ and, as its name implies, is built on sandstone. Jean-Marc Autran, son, grandson, and great-grandson of wine growers, produced his first wine in 1985 in the cellars built by his great-grandfather, Alphonse Vautour, in 1947. Alphonse, who along the slopes of the Briguières hill had made all his wine in the family's original property called Ténébi, decided to build the present cave on the side of the road leading up to the Ténébi. Supported by his father, Jean-Marc increased the size of the domaine and developed the sale of bottled wine. Soon the cave was too small, and Jean-Marc decided to enlarge once again in 1995. 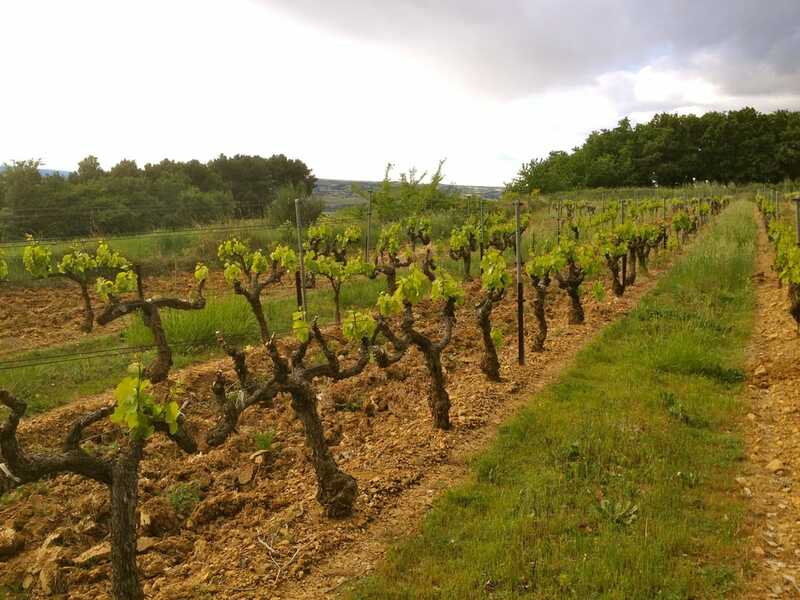 Along with his wife Sophie, Jean-Marc now cultivates 30 hectares of vines as follows: 3.5 hectares of Gigondas, 12.5 hectares of Sablet, and 14 hectares of Côtes du Rhône. It is composed of a large number of small plots and therefore various soils, including sandy decalcified red clay, flint, clay, silt, chalk and gravel. The age of the vines — at between 20 and 45 years old, they are in their full, rich, plentiful prime. The grapes are entirely hand-harvested, pressed and made into wine plot-by-plot. This safeguards their distinct and separate characteristics. The dominant grape is Grenache. Others include Syrah,Counoise, Cinsault, and Carignan, each planted with a density of 4,000 plants per hectare. The pruning is always true to the traditional royat or gobelets methods. The wines are made from whole bunches. Leaves are removed but the bunches are not destemmed. The fermentation lasts from a week for the Côtes du Rhône to a month for the Sablet and Gigondas. The fermentation temperatures are strictly controlled, depending on the cuvee, at between 28 and 33 degrees Celsius. The bottling of the red wines is done once only and, with the exception of the Côtes du Rhône, is not subject to fining or filtration. ​Domaine de Piaugier Sablet Côtes du Rhône Villages Blanc Made with fairly equal parts of Clairette, Grenache Blanc, Viognier and Roussanne from sand, clay and silt-based vineyards. 30-year-old vineyards with an approximate yield of 35 hl/ha. Made with indigenous yeasts, barrel fermented and aged eight months in barrels that have previously held two wines, with lees stirring once a week. A Rhône field-blend, with primarily Grenache, then Syrah, Mourvèdre, Cinsault and Carignan from argile limono-sableuse soils. 20-year-old vines with a 50 hl/ha yield. Aged in cement tank, with a seven-day fermentation period. 75% Grenache and 25% Syrah, from sand, clay and silt soil. 25-year-old vines with a 40 hl/ha yield. 21-day fermentation period, with the Grenache in cement tank and the Syrah in three- to four-year-old barrels. 100% Counoise, from clay, sand and silt based-soil. 40-year-old vines with a 40 hl /ha yield. 28 day fermentation period in cement tank, with no destemming. Matured in barrel during two winters, and bottled in the Spring without filtration. 80% Grenache and 20% Mourvèdre grown on clay, silt and sand soils. 40-year-old vines with a yield of 40 hl /ha. 28-day fermentation period in cement tank without destemming. 20% of the wine matured in barrel during two winters, then blended and bottled in the spring and bottled without filtration. 65% Grenache, 25% Mourvèdre and 10% Syrah grown on clay with silt and sand soil. 40-year-old vines with a yield of 35 hl /ha. 28-day fermentation (at a higher temperature) in cement tank with no destemming: 20% of the wine is aged in barrel during two winters, then blended with the tank blend and bottled in the spring without filtration. This wine shows spicy red berry and cherry aromas along with cured meat and herbs. Lush and creamy, with dense dark fruit flavors, lightly chewy tannins and slow-building smokiness. An excellent partner for grilled lamb.